"We purchased a Marxman Slitter from SWI Engineering over 15 years ago. It has always been a very good and reliable machine and is still in operation today. We recently retired our 8m Thalman and had no hesitation in replacing it with a SWI 8m folder. The price was very competitive and we are very pleased as the machine produces an excellent result as well as being easy to operate by staff. We have always found the after sales service to be of the highest standard"
"We have recently purchased the new SWI Duplex Folder for our custom fabrication division in Kilsyth South. We have found this machine to be versatile, accurate and reliable making its use in our factory very efficient. Comparable types of long length folders do not have all the aforementioned components. We are very satisfied with its performance, training and commissioning as well as their customer service that we have received." " If we can give comment of SWI machine condition in Lysaght Indonesia, mechanical and electrical system is OK until now and all of them average per weeks running 24 hours, 6 days. This machine is suitable to support of our business now that our target productivity must increase until 35% for fiscal year 07/08. We hope we can the target because we have this machine. Thank you very much and nice job for you today." "I would have to agree that all the work performed has been to a high standard, machines have limited malfunctions with reduced maintenance costs. There are also minimal profile adjustments needed, which increases productivity. The back up service has been prompt & friendly. 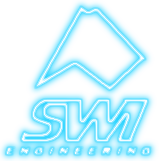 I would recommend your machines to anyone who pursuing a machine"
" It has been almost one year since we purchased and installed an 8 metre folder from SWI Engineering and has proven to be a very successful investment for our company…. their quotation was competitive and their customer service was outstanding. The installation was professionally completed with no problems at all and the follow up training was faultless, with six staff attending the training sessions on the first day, all staff went away very happy and confident (considering it was their first day with computerised equipment). The efficiency of this machine is exceptional and we have noticed this through our sales over the past year." "Minor thought from me: profile is excellent (accuracy - strictly tolerance can be reached), adjust machine (for profile outcome) for different thickness easily….Thanks"
"The SWI machine that we purchased is excellent for operator use and quality of finished product and speed of production. SWI installation and backup service has also been excellent"
"You and your team exercised high levels of safety during the machine installation. The quality and workmanship and the durability of the equipment is very high"
"Our SWI Folder was received and installed quickly and efficiently. We were very impressed with the safety systems, the backgauge operation and the segmented clamp inserts. We had very quick response to requests for advice"
"I would have to agree that all the work performed has been to a high standard, machines have minimal malfunctions and reduced maintenance costs. There are also minimal adjustments needed, which increases productivity"
"We have three machines on site and I can't speak highly enough on the standard to which these machines are made. All machines are made to last & any adjustments are very easy to follow in your operations guides. The folder is the main machine about which I have spread the word around at our different sites. The features which stand out are; how much quicker tasks are performed (slitting, folding), how quiet the machine is, how smooth the movement is at the end of each stroke, how simple the gauging adjustment is and how close the product tolerances remain without the need for constant adjustment"
"Our machines are still running well. They are generally reliable, stable and easy to operate. Our operators and maintenance personnel are very happy"